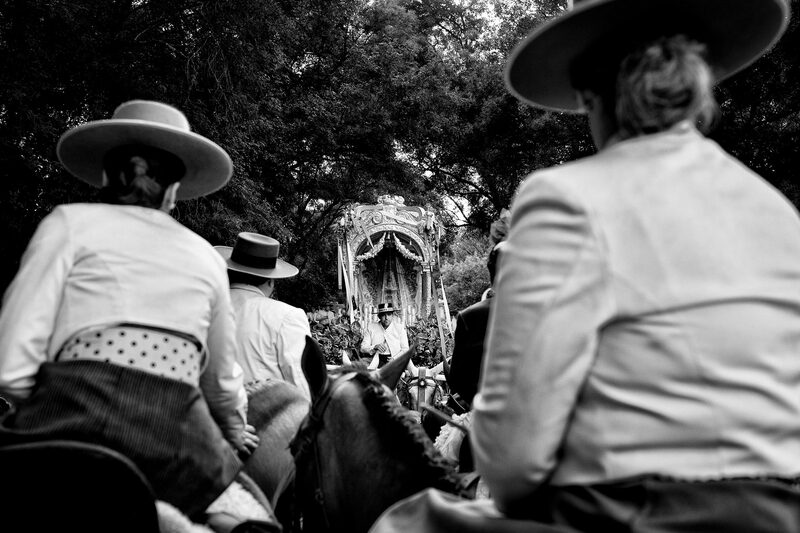 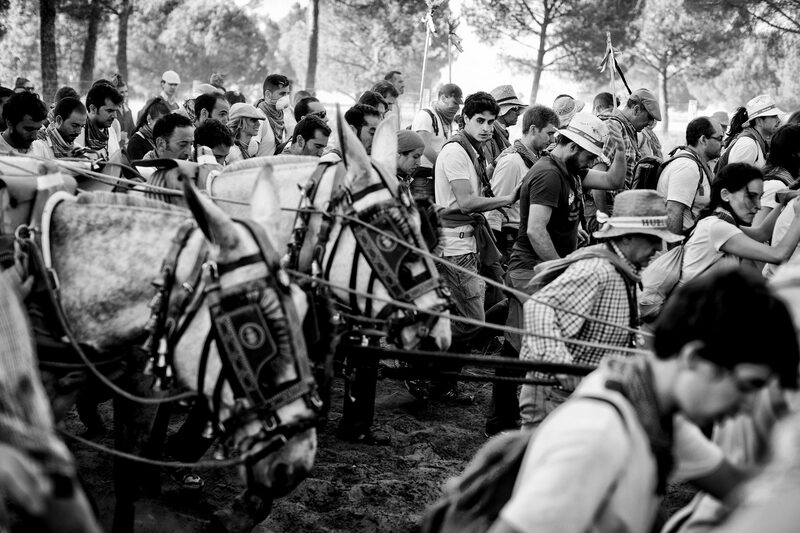 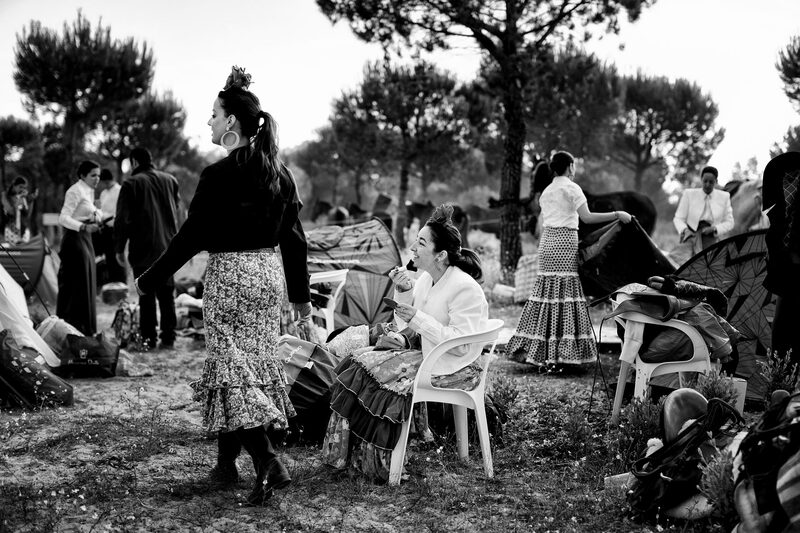 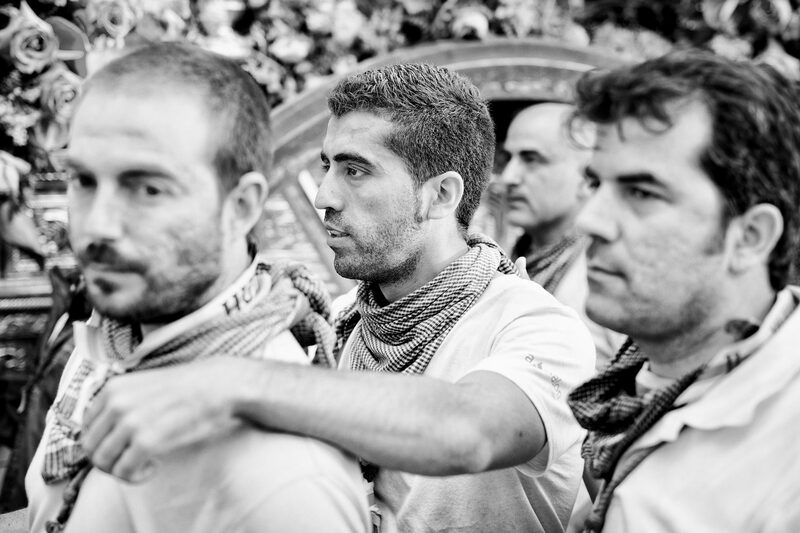 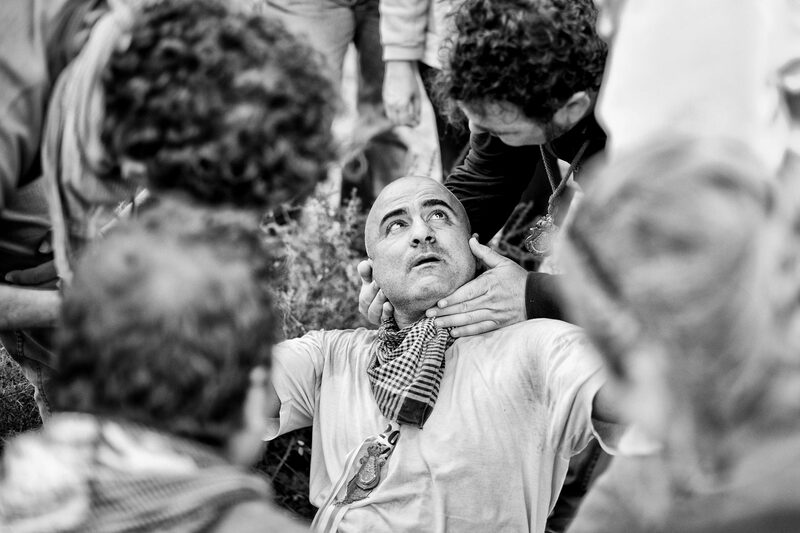 A photo reportage commissioned by Getty Images of the Romeria del Rocio procession bringing together roughly a million pilgrims each year making their way for as long as seven days from throughout Andalusia by foot, on horsebacks and horse drawn carriages, to the doors of the Hermitage of El Rocio. 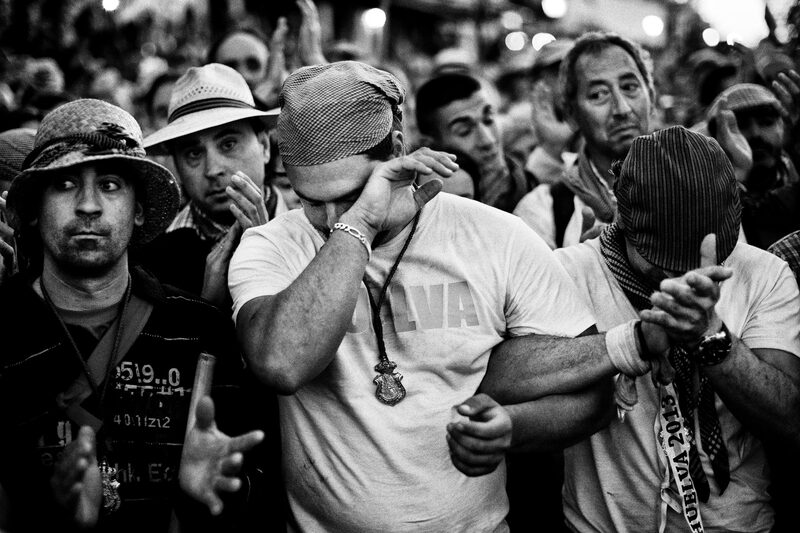 On Sunday night, after reciting the Holy Rosary at candlelight, and the passing of all the simpecados in front of the chapel, with the one from the brotherhood of Matriz de Almonte as the last one, el salto de la reja begins, the jumping of the fence surrounding the Hermitage after which the Virgin of El Rocio is carried out onto the sandy streets of the small town for the 'Blanca Paloma' procession. 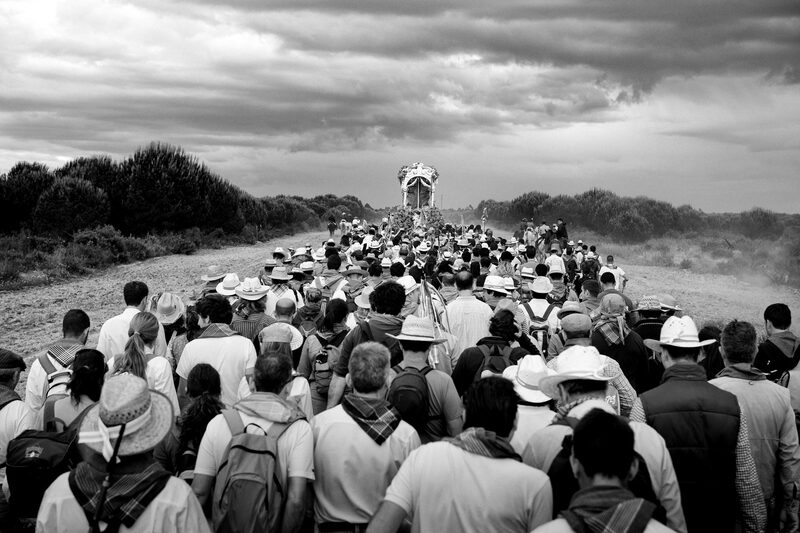 Then, the long camino home begins. 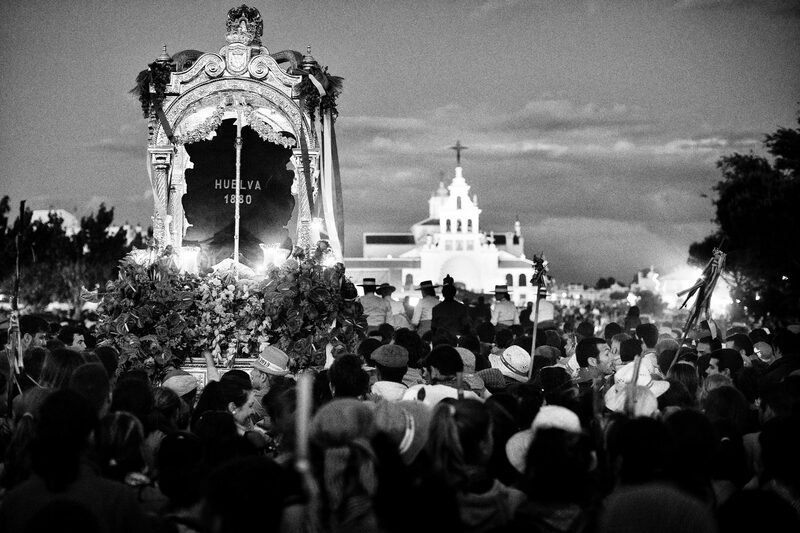 Dating back from 1653, it was in 1758, when the Virgin of Las Rocinas became known as the Virgin of El Rocio, that the pilgrimage started to take place in the weekend of the Sunday of Pentecost, 50 days after Easter Sunday.